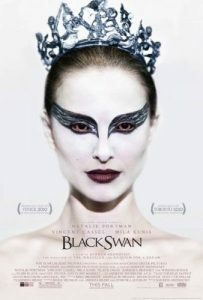 Plot Summary: We follow Nina (Natalie Portman) in New York who is the member of a company of ballet dancers in which there is tough competition. Everyone want to take Beth’s place (Winona Ryder) who is leaving and looking for a substitute for the lead role in “Swan Lake”. Yevna (Vincent Cassel), the manager of the company, is well aware of Nina’s talent but cannot perceive in her the duality required for the role. Another complication for Nina is the rivalry with Lily, an ignorant upstart (Mila Kunis) who always pushes the limits of her performances and provokes from the ballet dancer a sick combination of fascination, jealousy and repulsion. Notes: – Natalie took ballet as a kid and trained for the role for at least a year. – Darren Aronofsky and Natalie first talked about the project in 2000. – The film premiered at the Venice Film Festival as the opening film on September 1st.